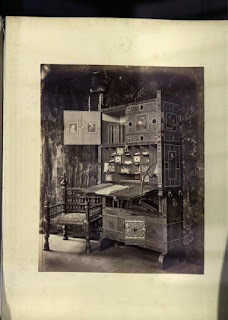 La fotografía fue utilizada, desde los primeros tiempos, como un elemento formador e informador de la arquitectura. Libros ilustrados con fotos se encuentran digitalizados cada vez con más frecuencia sobre todo por universidades americanas o, a veces, como en este caso por museos británicos. Ante estos datos busqué quien era William Burges pues tengo que confesar que ni idea tenía. William Burges fue un arquitecto inglés del siglo XIX, considerado uno de los de los más destacados del periodo victoriano, buscó con su trabajo escapar del estilo propio de la industrialización y de la arquitectura neoclásica y restablecer la arquitectura y los valores sociales de una utópica Inglaterra medieval. Trabajó en Irlanda, Gales e Inglaterra. Burges se encuadra dentro de la tradición neogótica, sus trabajos entroncan con el movimiento prerrafaelista y el Arts and Crafts. A fan of the Victorian architect's work, Page lives in the house which Burges designed for himself in London and allowed it to be featured in a new book on Burges. I was still finding things 20 years after being there - a little beetle on the wall or something like that," Page said. "It's Burges' attention to detail that is so fascinating." 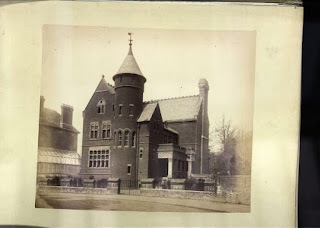 Tower House is the only property designed by Burges which is currently not open to the public. 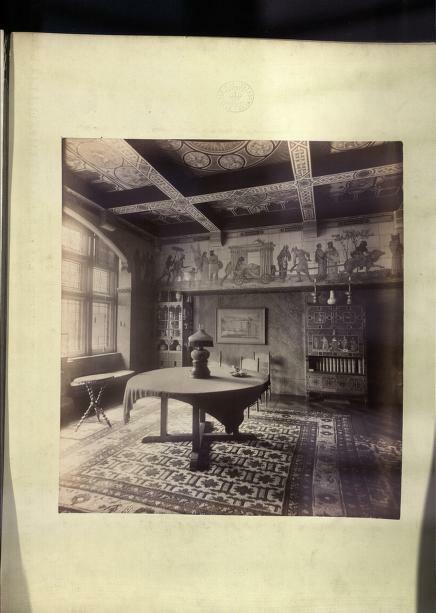 But after hearing a request from Cardiff castle curator Matthew Williams, Page allowed pictures of his home to be featured in the new book, called William Burges, written by Mr Williams. William Burges was one of England's most notable Gothic Revival architects. He studied medieval architecture, travelling widely in Europe and Turkey. He established his own architectural practice in 1856. He designed the Brisbane Cathedral, Australia, in 1859 and St. Finbar's Cathedral in Cork in 1862. In 1865, Burges started an extensive restoration of Cardiff Castle, making many extensions to the existing apartments and directing an elaborate scheme of interior decoration.